Second day of Boston was still hot and humid, but it was all worth it as I was able to venture out and see more of what defines Boston. Anywhere you go in Boston, you’re bound to bump into some sort of historical platform. The building to the far left is the Christian Science Church, then to the right of it is a school and corporate offices. The water in front was created by the Christian Science Church. It’s called the Reflection Pool, literally because you can see the reflection of the buildings. When you see the Reflection Pool, you become overwhelmed by its beauty of simplicity and art. Anna suggested that I check out Flour Bakery and Cafe for lunch since it was near MIT. There, I had a refreshing and very filling roast chicken sandwich with mashed avocado and jicama. After lunch, I walked over to MIT where it had a contemporary look to it. There were some unique designs of the buildings on campus. I found a hidden garden on a rooftop of a parking structure near MIT. It was definitely a secret little area. I hopped onto a bus and headed over to Harvard. When I got there, their graduation ceremony had just ended! So there were a bunch of empty chairs all over campus. I saw some graduates there and wanted to give them a hug to congratulate them. I was proud of every Harvard graduate I saw though I had no idea who they were. The campus is extremely small. You could probably walk across the campus in about 7 minutes. Though it’s small, the campus is so beautiful because of its architecture but mainly because of its history. The brick buildings and that library of theirs. Oh geez. It’s intimidating but so monumental. Harvard’s Library. You need a student ID card to enter the library! I wasn’t at Harvard too long just because there was actually not much to look at since the campus is small. So I walked around Harvard Square which is a few blocks of stores and places to eat. For dinner, Anna and I went over to Russell House Tavern in Harvard Square. It’s a gastropub that has a neat layout of the restaurant. It’s a packed two story restaurant with a patio for people to eat outside. I got the bacon cheeseburger and was more than satisfied with it. Bacon cheeseburger at Russell House Tavern. I was stuffed from the burger that we had to walk it out. So we just walked around Harvard Square and watched some street entertainment. I think I’ll start it over, where no one knows my name. I’ll get out of California, I’m tired of the weather… Just kidding! That’s a song called “Boston” by Augustana. This song was stuck in my head as I was preparing for my trip to Boston! I couldn’t think of another song that talked about Boston except this which was too melodramatic for me. But good song though. I went to Boston to visit my friend Anna who works at Harvard Medical School! No big deal, really… My first meal was at the Boston Public Library. What, you ate at a library? Vending machine snacks? Nah. There’s actually a fancy restaurant called Courtyard Restaurant. The price range of the food is a tad bit on the higher end for me where you’ll probably spend at least $20. We started the afternoon with a complimentary appetizer from the chef. It was a tiny dish of breadcrumbs, edamame, mozarella, and cherry tomatoes. 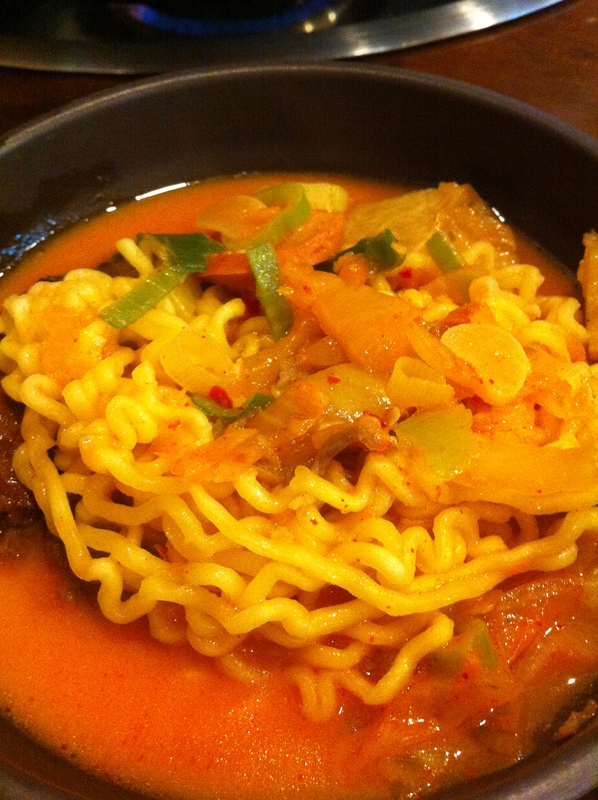 For a little dish, it was quite refreshing and flavorful. For my actual meal, I got a barbecued chicken burger with a side of soup. The burger was small but somehow filling. The barbecue wasn’t too strong or too lightly flavored. It was just perfect. We had a great view of the actual courtyard of people sitting around the fountain relaxing and reading. It was quite peaceful while we were eating and catching up. We explored the massively historical library inside and out. This is definitely a place to check out if you’re in Boston. The library will inspire you to study or at least read a book. Right across from the library is the main memorial sight of the Boston Marathon. It’s a whole different experience when you’re right there at the actual site compared to when you’re watching it on the news. As I was walking around the site, I just couldn’t stop hearing the voices of people cheering their friends and families on. There was definitely a deep moment of reflection walking around the site. On my way to Thinking Cup, a coffee shop that Anna suggested, I explored Boston oh so freely. I found a park that wasn’t your neighborhood park with a swing set like in Orange County. This park was huge like Central Park but Boston’s version. It’s called the Public Park. People were laying out on the grass to tan or having a picnic. The park is actually utilized for pure relaxation. It was nice to see a new surrounding compared to Orange County. 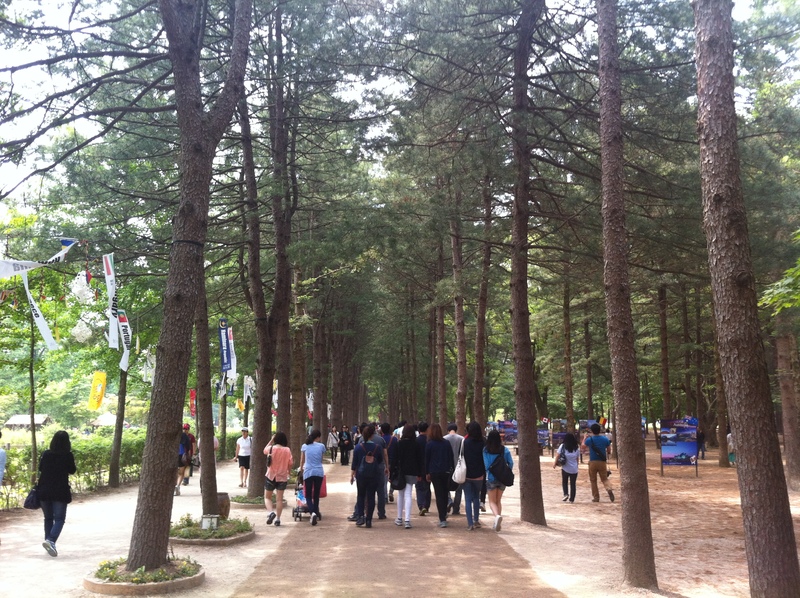 We have parks here too obviously but the culture of parks here is used and viewed differently. Right across from Public Park was Thinking Cup! I was relieved to have found my destination after walking in the hot and humid weather for a few hours. I ordered an iced hazelnut latte which is one of their popular ones. It was darn refreshing. I wish I had gotten a bigger size because I finished it pretty quickly. For dinner, Anna and I went over to Chinatown. We went to a well known Chinese restaurant that a bunch of celebrities have been to called Gourmet Dumpling House. This is a tiny restaurant that can probably fit about 30 people. It’s so small that you have to share a table with strangers if your party is small. In our case, we shared a table with a man who was eating by himself. 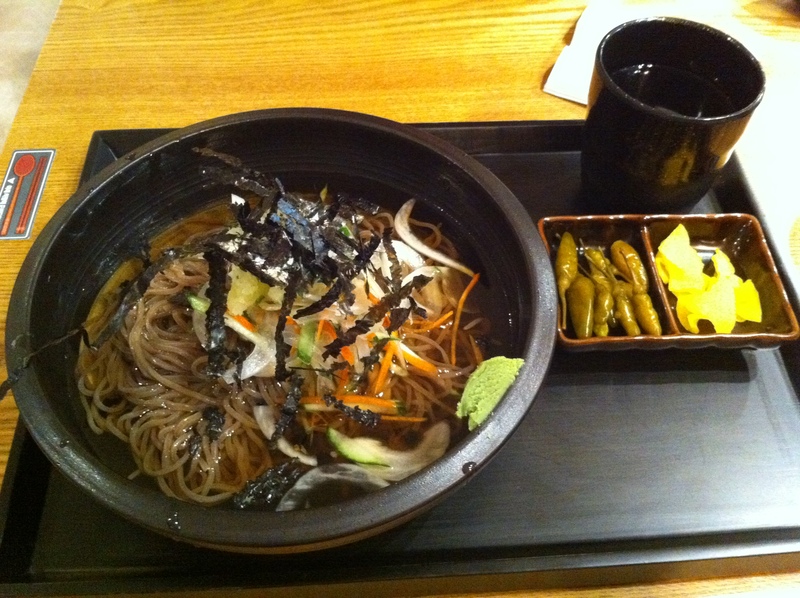 We ordered dumpling soup, mixed vegetables, and their most famous sliced fish with szeuchan sauce. Dumpling soup. I’ve never heard of or tried dumpling soup before until Boston. You need good motor skills to master the technique of eating dumpling soup. You have to poke a hole within the dumpling to drain out the soup and you’ll drain it into a spoon of soy sauce. Then wah-lah you have a spoon of dumpling soup to sip on. The soup and the dumpling itself were both good! Mixed Vegetables were the usual, greasy and good. Ok, now the sliced fish with szeuchan sauce. I will never forget this part of our dinner. 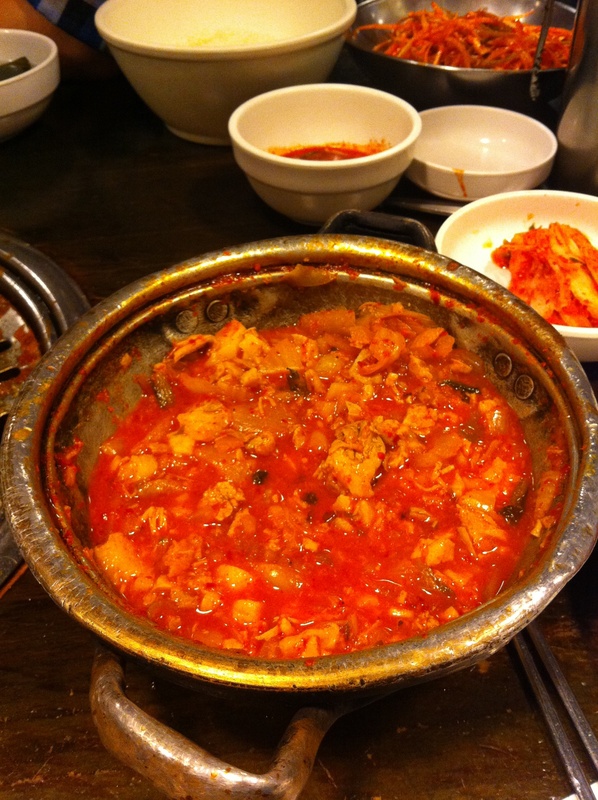 It was overall spicy but I couldn’t stop eating it not because of the spiciness but because it was just darn good. The restaurant is very well known for their szeuchan sauce and you would know why once you try it. Eating at Gourmet Dumpling was the most perfect way to end that night! Thank you Anna for taking me to a glorious Chinese restaurant. 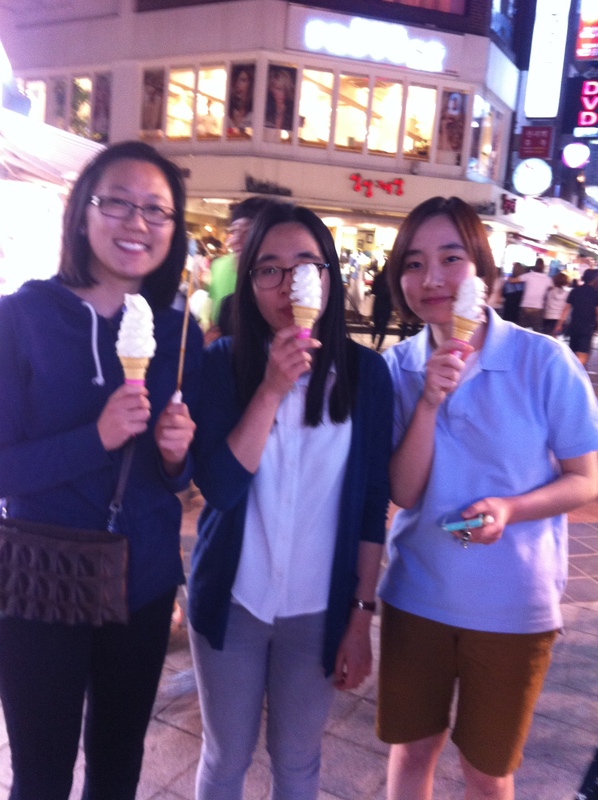 My cousin, Bomi (Boh-mee) was free to show my sister, mom and I around in Korea. 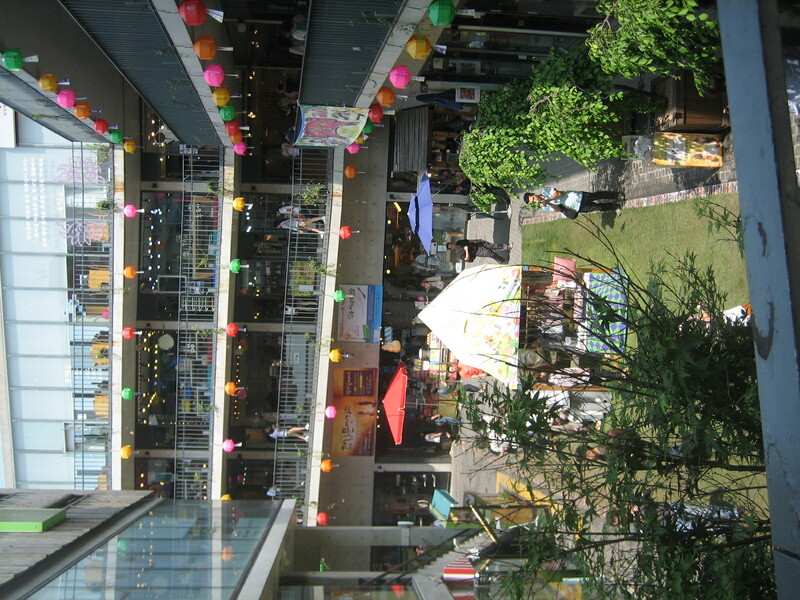 We first went to Ssamzi-gil where it is a cute little shopping area and hang out spot. One vendor was selling poop! Poop bread. 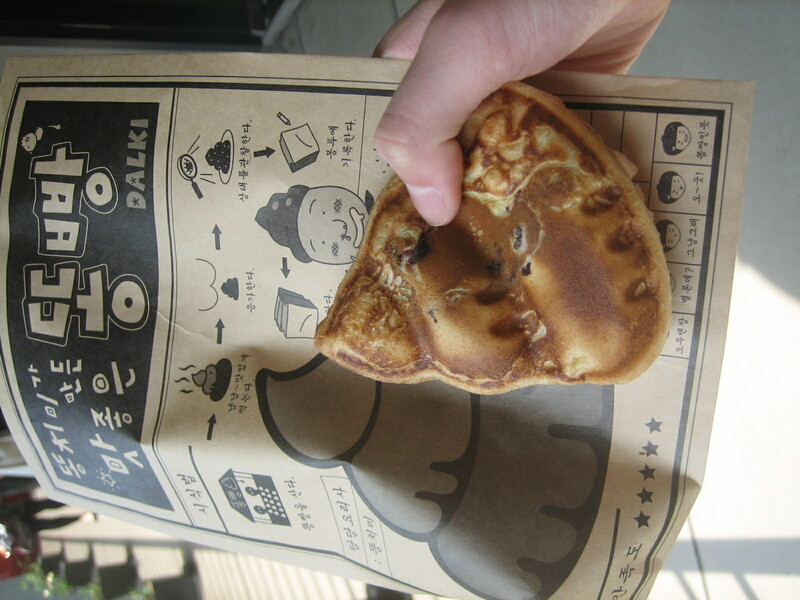 Well, bread in the shape of poop with red beans inside. It was cute and so we had to get some of that. It was fresh and simply delicious! What can go wrong with poop bread? Nothing! Ssamzi-gil had a layout that was quite eccentric even with their decoration. Random artwork was placed around. The building was about several stories high. The floors have an inclination to the point where you don’t need to take the stairs. As you walk around the pathway in the area, you are walking your way up to the next floor. All the stores were pricey because they were basically homemade trinkets and accessories. Then we went to this traditional castle kind of looking thing. 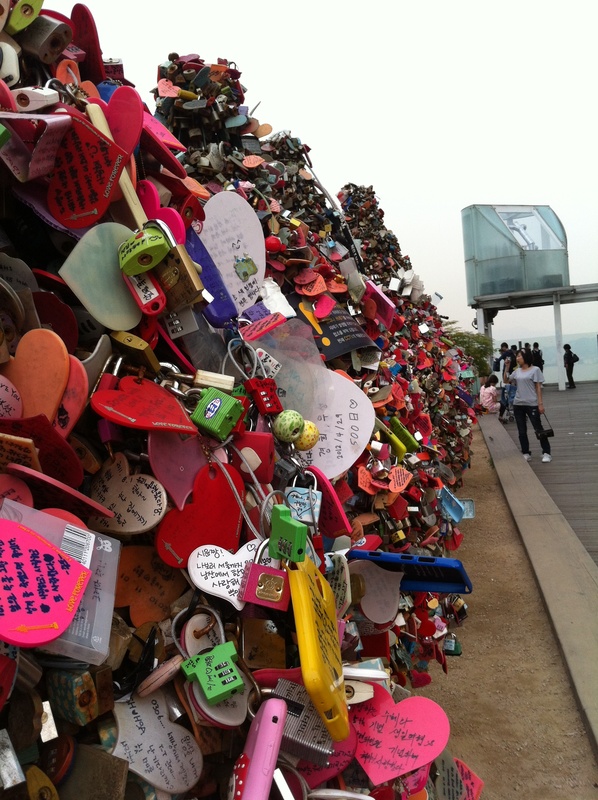 Not sure what it’s exactly called but it’s historical in Insadong. We went to the second floor and listened to a tour guide share the history of the structure. There’s a bell inside that building that they ring every new year or for any special occasion. An interesting fact about this bell is that it was made by dead babies. In other words, I think back in the day when babies were malnourished due to poverty, they ended up dying. So they would cremate the babies and use the cremation to make the bell. 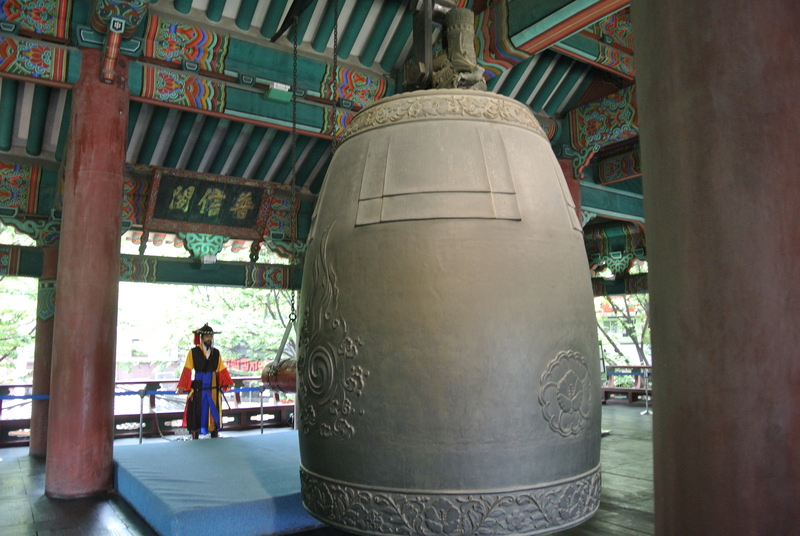 So the bell is considered to be spiritual and is to give you good luck. After a brief history lesson there, we went down the street and into this ditch. The ditch had a river flowing down and leading to some kind of celebration for Buddha’s birthday. It was eye opening to see Buddhism being celebrated because in the states, Buddhism is not very common. There were Chinese lanterns hanging and colorful statues in the middle of the river. At one point, as we were walking down the river, we saw a little girl fall into the water! The water was shallow but the current was strong! The girl was quickly moving down the water and kept losing grasp of anything she tried holding onto. Luckily, someone pulled her out of the water. 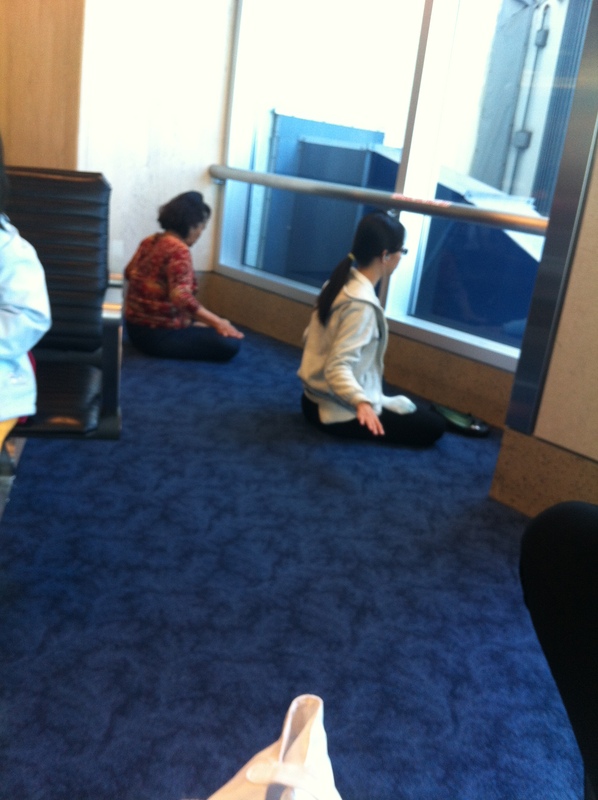 Yes, I took a picture of the situation and did not help… Please don’t judge. 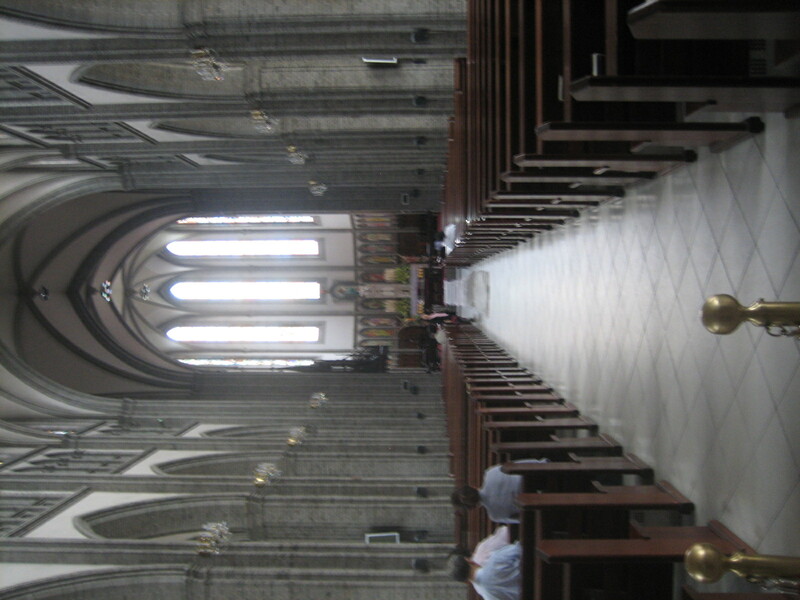 My cousin showed us a beautiful cathedral in Insadong. It reminded me of all the cathedrals I saw when I went to Europe. You can donate some money and have a candle lit to say a prayer. It was a peaceful place to be. 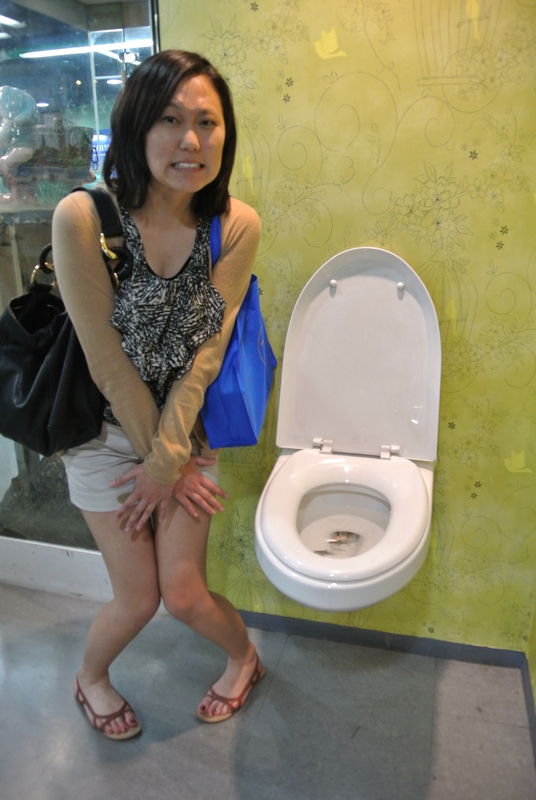 That squatting toilet scared me when I opened the door! I saw it for a second and had to walk away. 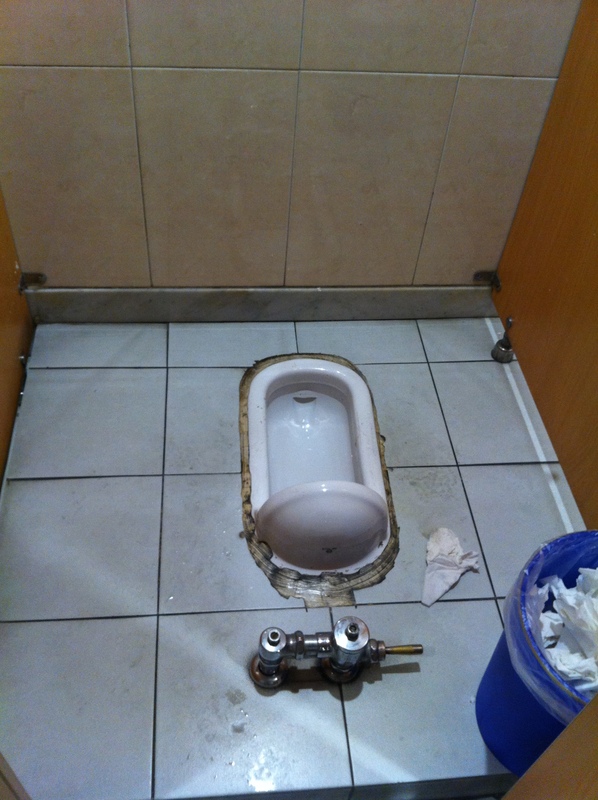 I couldn’t take a risk to tinkle there because I was afraid of falling in… Yes, those toilets still exist. 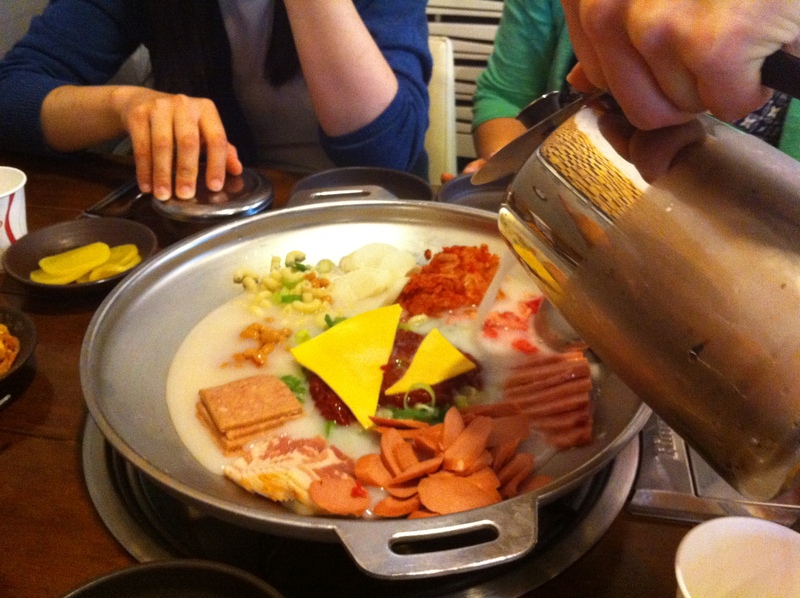 For lunch, we had lah-bok-gee aka ramen with cheese, spam, kimchi, and all sorts of other dishes in there. Good food indeed. Surprisingly, we ate so much there for what little we ordered. Luckily, we were able to walk off all the food we ate. 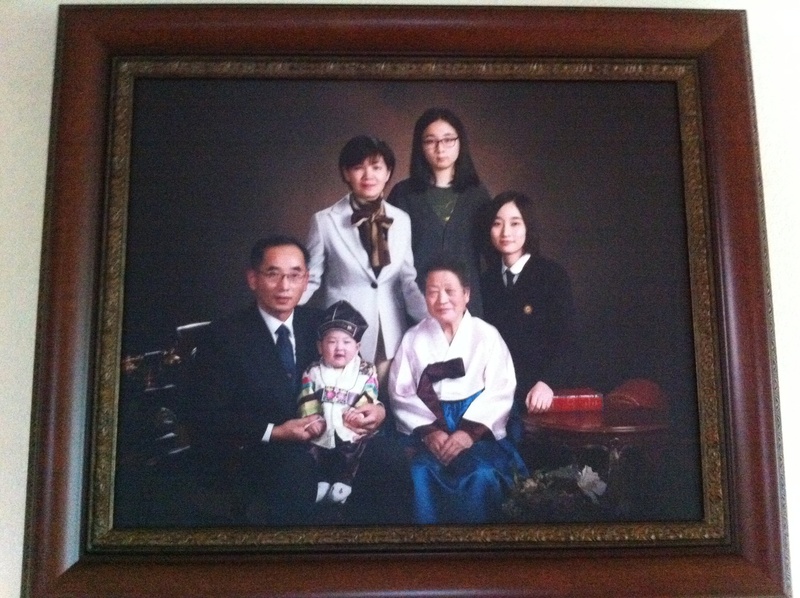 Our next stop in our adventure was to meet my grandma’s brother. So we went to Seoul Station to hang out with him. While we were waiting, we walked around a market there. 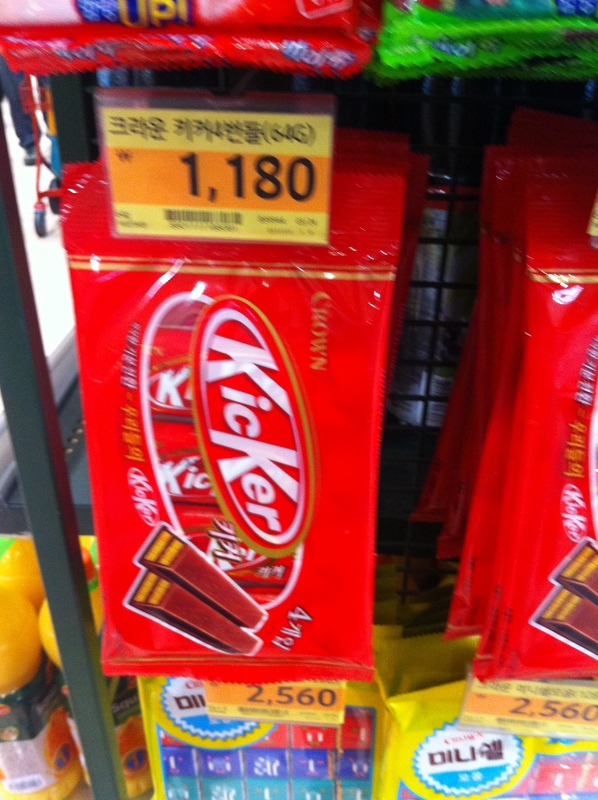 Below is a funny picture of a wannabe Kit-Kat bar in Korea. Here’s another funny one. 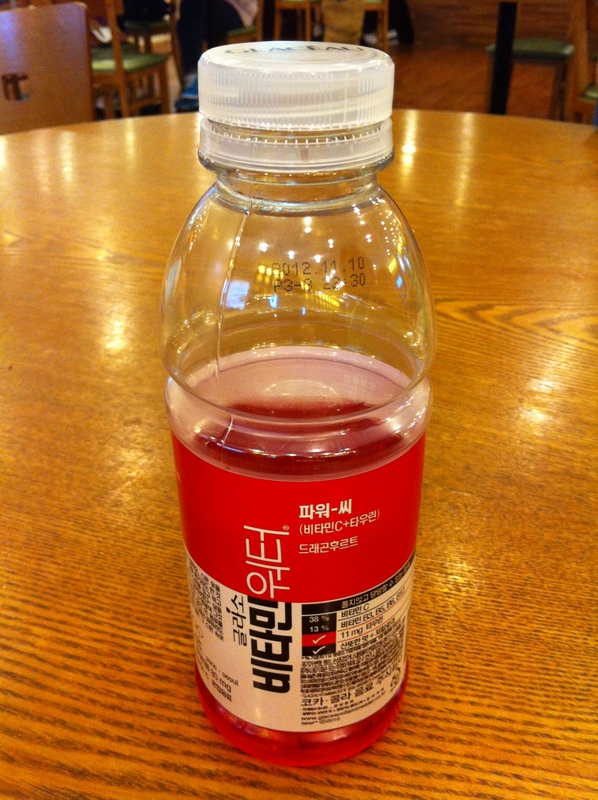 It’s a Vitamin Water but in Korean it says “Bee-tah-min”. Koreans cannot say the letter “V” so they say it with the letter “B”. So after an hour of waiting, we were not able to meet up with my grandma’s brother because he lived too far away from where we were that it would take a lot longer than expected to meet him. It would have been awesome to see him because I would have never thought about meeting my grandma’s sibling. After a long day of walking, shopping, and eating, we decided to go back home. Of course, we were not going to stay at home the whole night. We had to go out and experience the food and culture at night! My cousins showed us around. 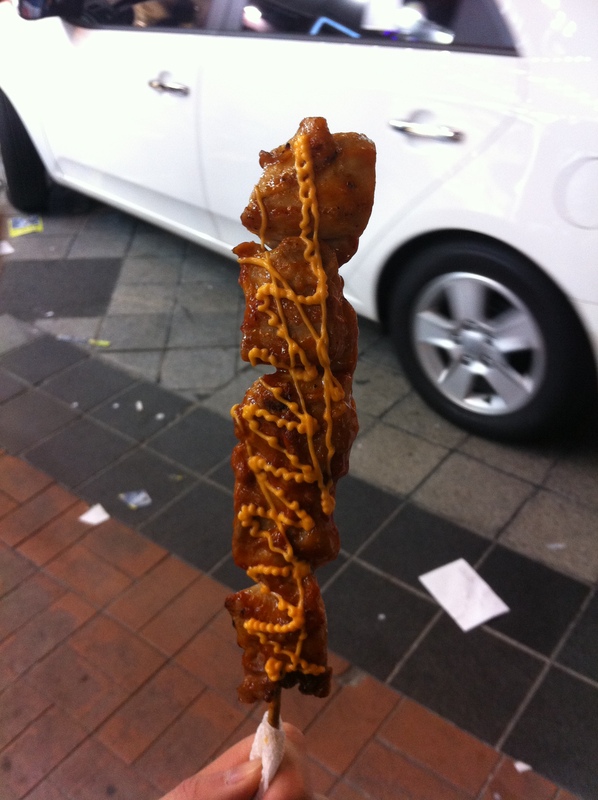 We tried this chicken on a stick, drizzled with cheese. Oh, by the way. 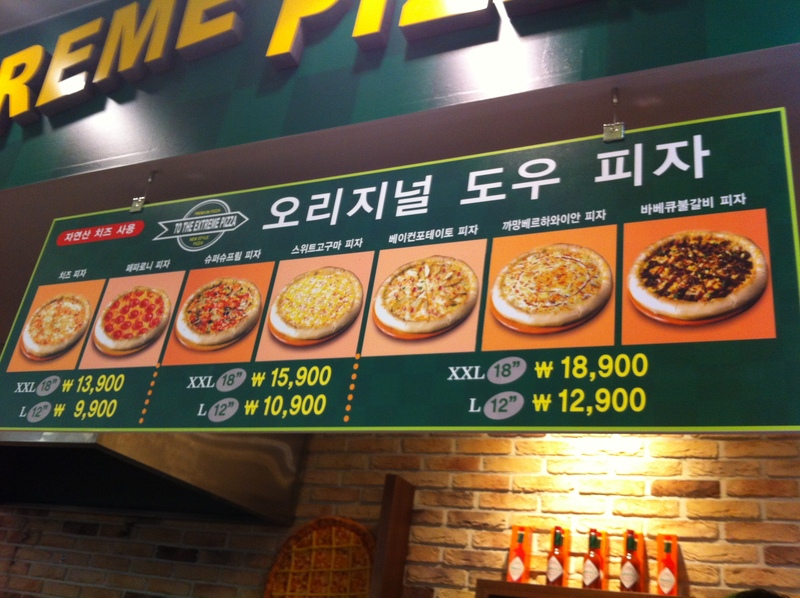 Koreans apparently love cheese. I’m not sure why. 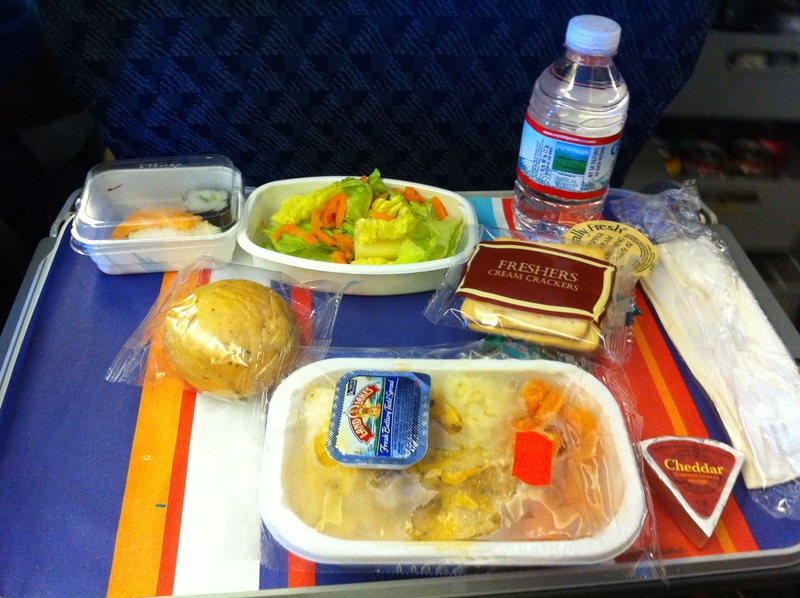 Also, their cheese is different compared to American cheese. Not sure of how big of a difference it is. The chicken was no doubt delicious. For dessert, we got some cheap ice cream. It was as good as McDonald’s vanilla ice cream cone or better. 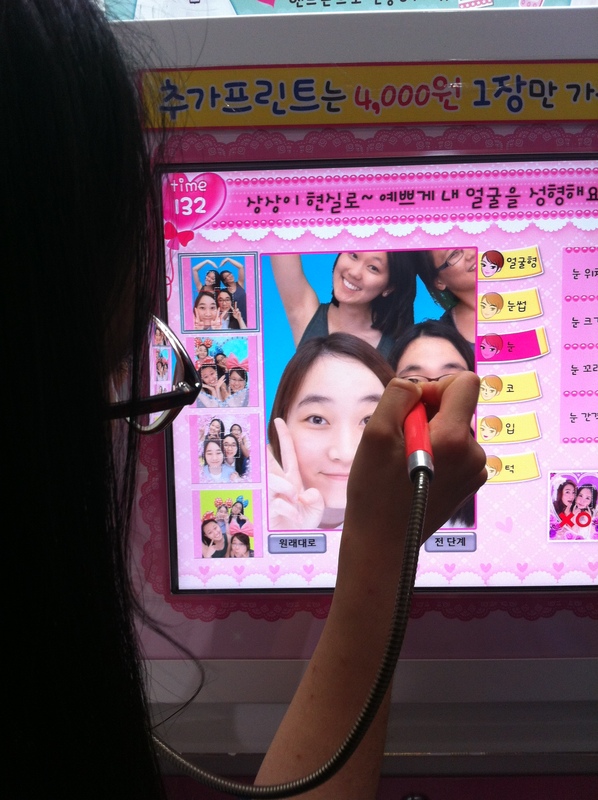 Koreans and/or just any Asians love sticky picky pictures. So we did that too! My cousins were pro at decorating the pictures so quickly. Good thing they took over that pen. Hanging out with them was a great way to end our night! 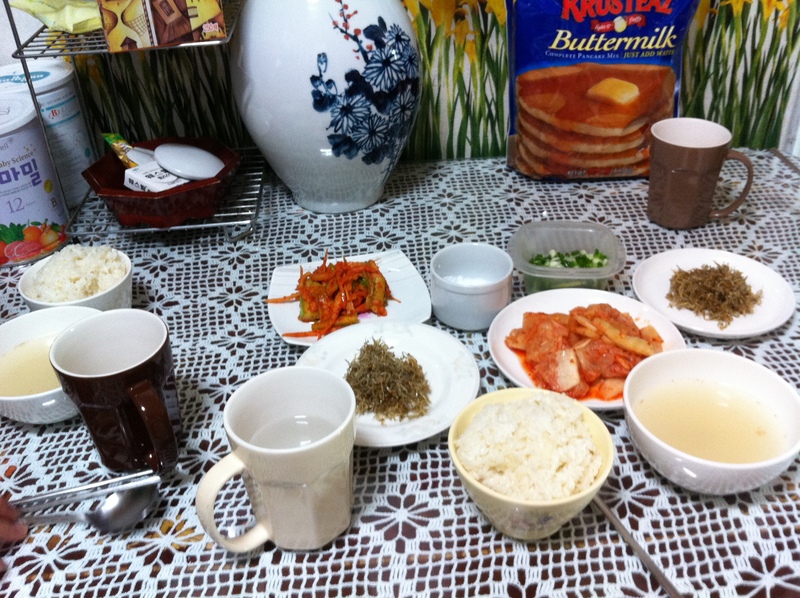 We had a bowl of rice, some kind of soup with green onions, anchovies, kimchi (Koreans are known for this spicy, cabbage dish), and some other spicy vegetable dish. And yes, that’s Costco size pancake mix in the background that my family and I gave to my relatives. 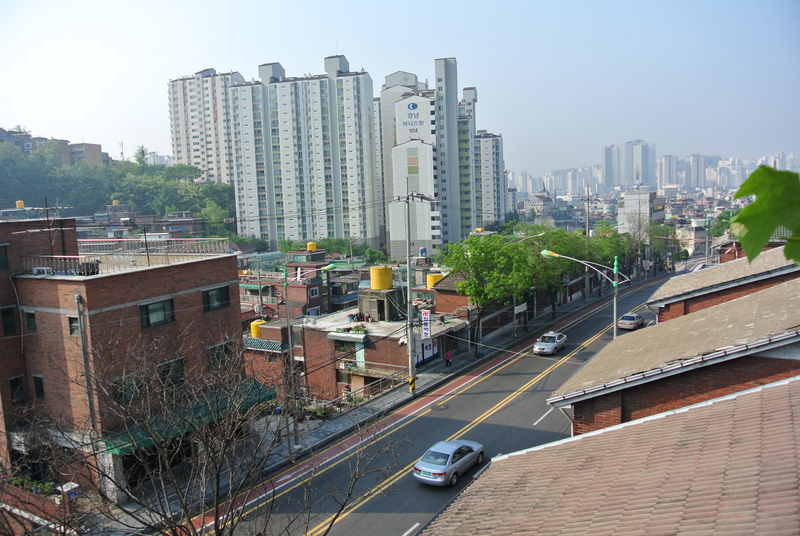 Once we were done with breakfast, my sister and I explored upstairs to the rooftop of my grandma’s complex. You can see more of Seoul from the top. 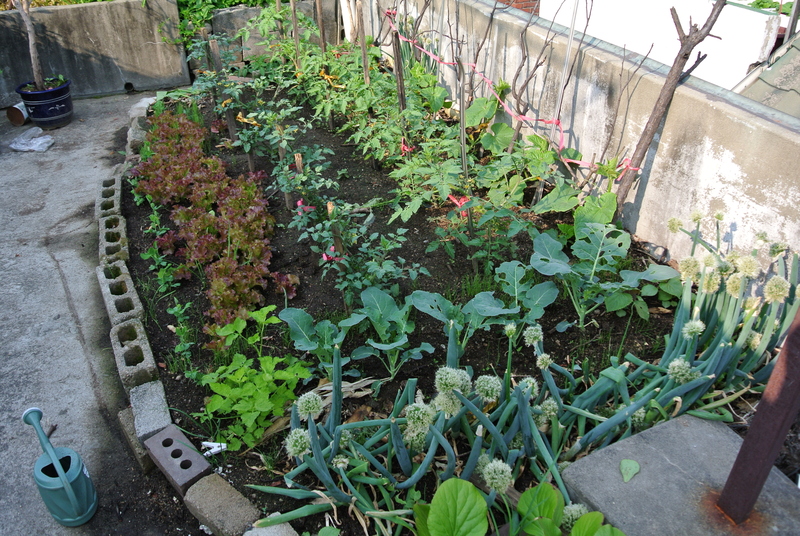 My grandma has a little garden of vegetables at the rooftop. I like seeing how the vegetables are all lined up. It’s so cute! Below is a picture of the neighboring apartment complexes behind my Grandma’s place. We never got the chance to explore back there. I actually don’t even know how to get back there other than jump from one rooftop to another like a ninja. 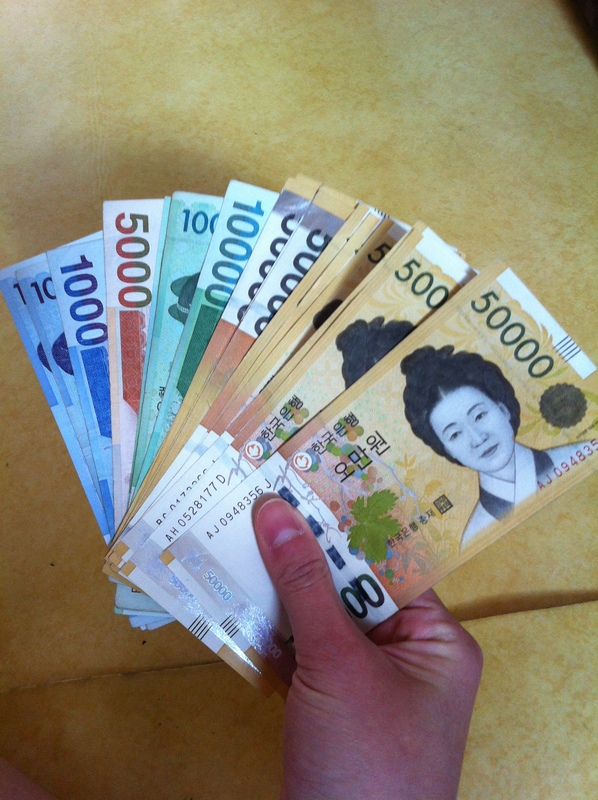 Before we headed out to start an adventure, I had to put my Korean money together. Just to let you know, for every $1, I got 1119 Won. In other words, the dollar was stronger than the Won. Wew! I exchanged my money right before I left Incheon Airport. Look at how colorful the money is! It looks like fake money to play with! 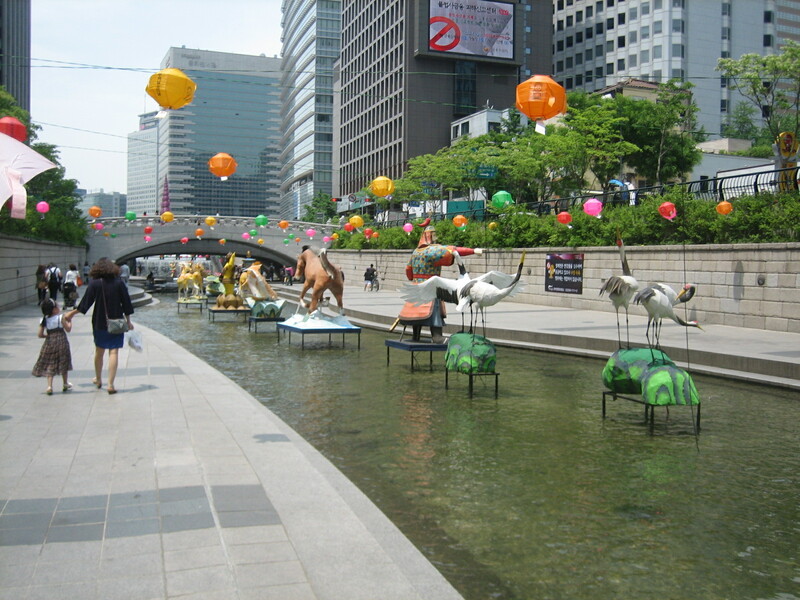 My sister, mom, and I headed out to Coex which is a big shopping mall. First, we had to take the neighborhood bus to get to the subway. The bus was packed when I first got in there. 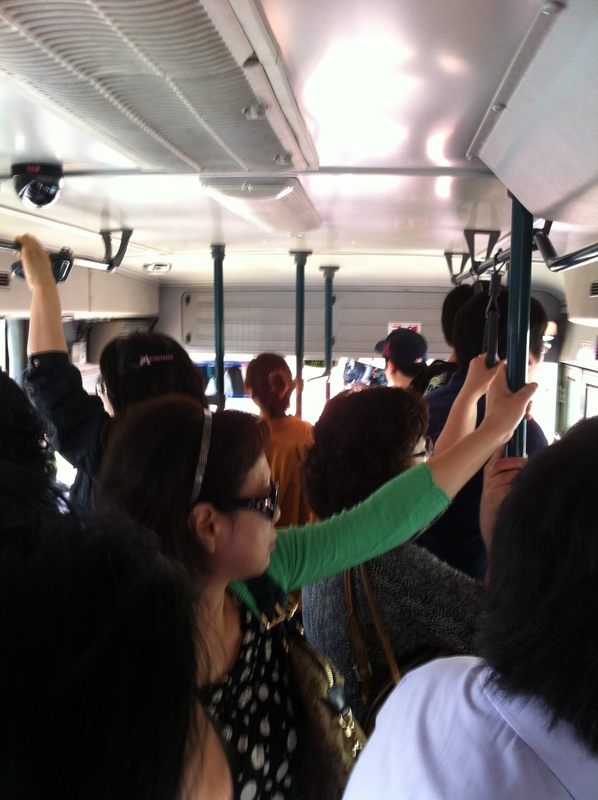 At one point, everyone was rushing out of the bus and I almost got off the bus without my family! People were pushing me to move because I was somehow standing near the exit. I think through the rush, people pushed me towards the exit. It was crazy. I learned my lesson to not stand near the exit or else I will get off the bus without even knowing it. The bus dropped us off near the subway. We purchased our T-money card which is a re-loadable card that is used to take the bus, taxi, or subway. Taking the bus is less than 50 cents, taxi is variable but cheaper than states, and subway one way is probably less than a $1.50. The transportation system was confusing at first but we got the hang of it after getting lost. The subway from my Grandma’s to Coex took about an hour. It was really convenient how the subway stopped right at the mall. Once you walk out of the subway, you’re basically at Coex in seconds. 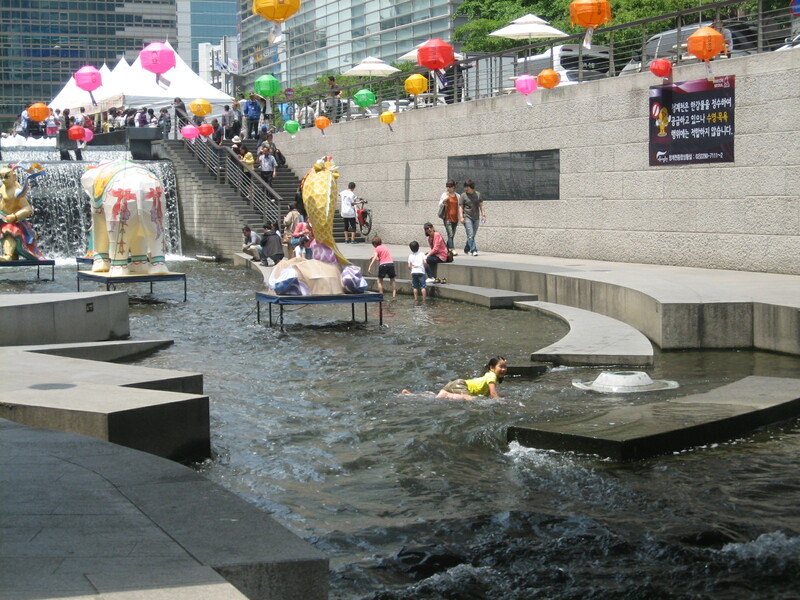 In the outdoors area of Coex, we first saw Zara, Dunkin’ Donuts, and Paris Baguette (again). I can’t tell if my eyes are opened or not in the picture below, but enjoy! By the way, I never use peace signs. I thought I should take advantage of using the peace sign since I was in Korea since every uses it there. Coex is a huge mall where you can do a lot of things such as eat, shop, watch a movie, go to a museum or aquarium, and I think you can gamble there too. Coex is basically an everything mall if that makes any sense. We probably went to majority of the stores. 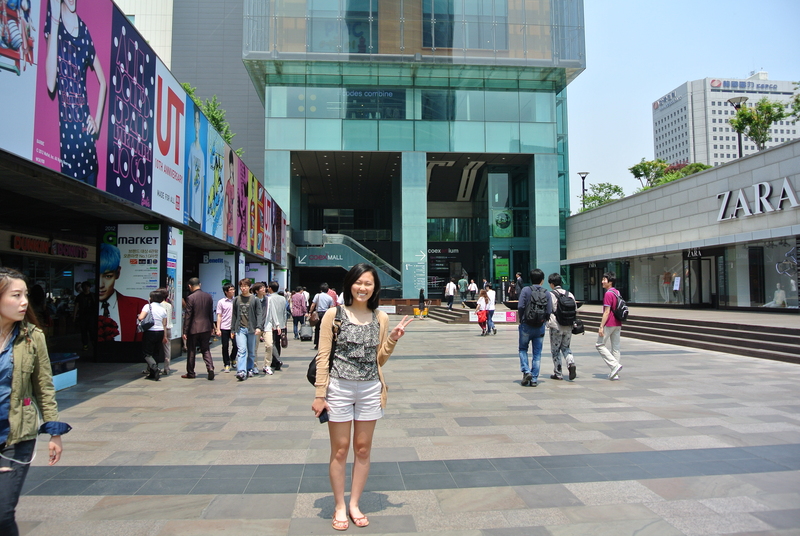 There was actually too many stores there and the layout of Coex was confusing because it was just so big. 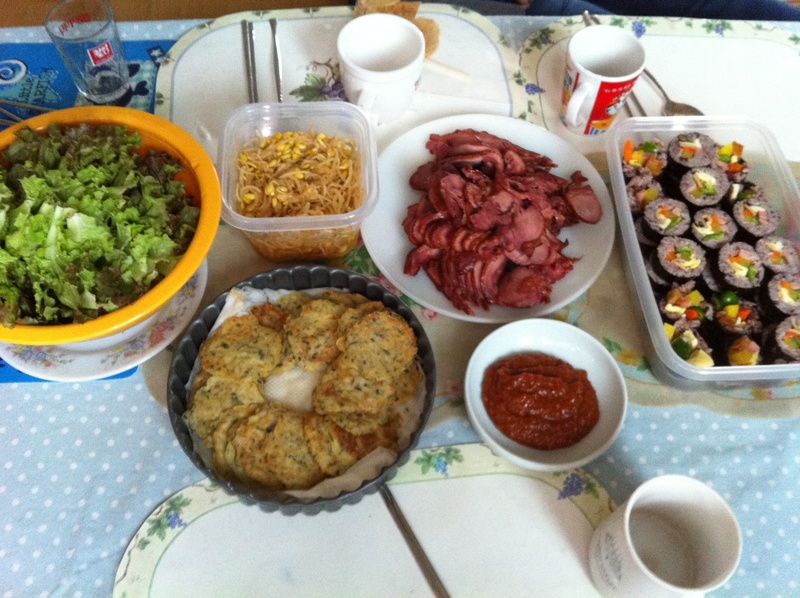 We shopped around and got lunch from a Korean-Japanese restaurant. They did not really have a hole in the wall kind of a restaurant at Coex. So what I had wasn’t so very special but it was good! Which mall has an aquarium there? Coex! 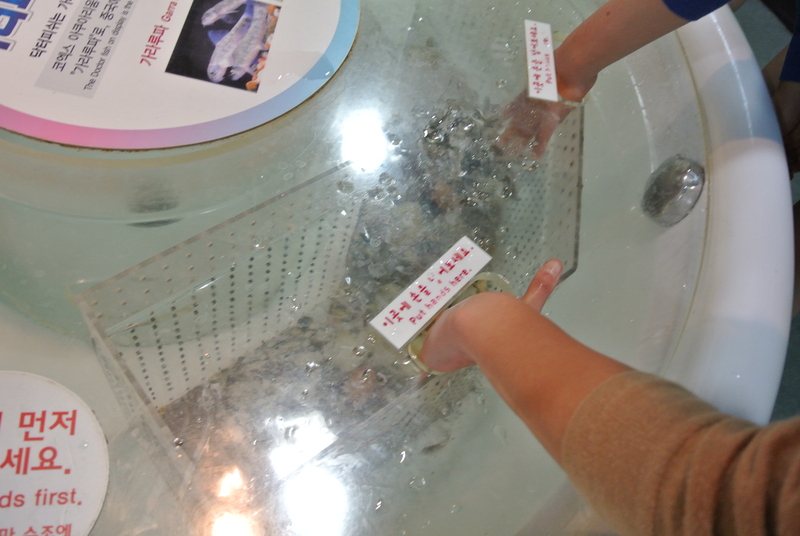 We had to go to Coex, one because of shopping, two because of the aquarium! 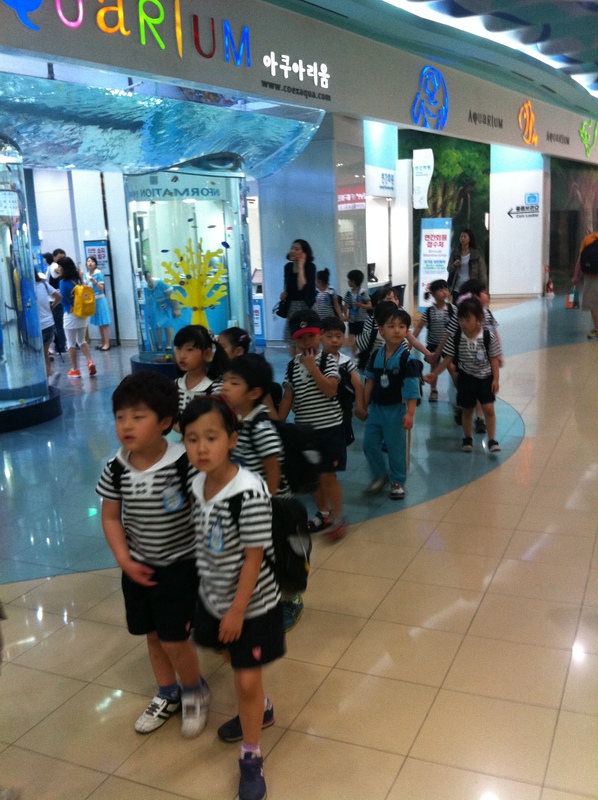 Before we were about to enter the aquarium, we saw a bunch of kids lined up in pairs, holding their partner’s hand in cute little uniform! So cute. This picture right above is where you put your hands in the water and the fishes nibble on your dead skin. 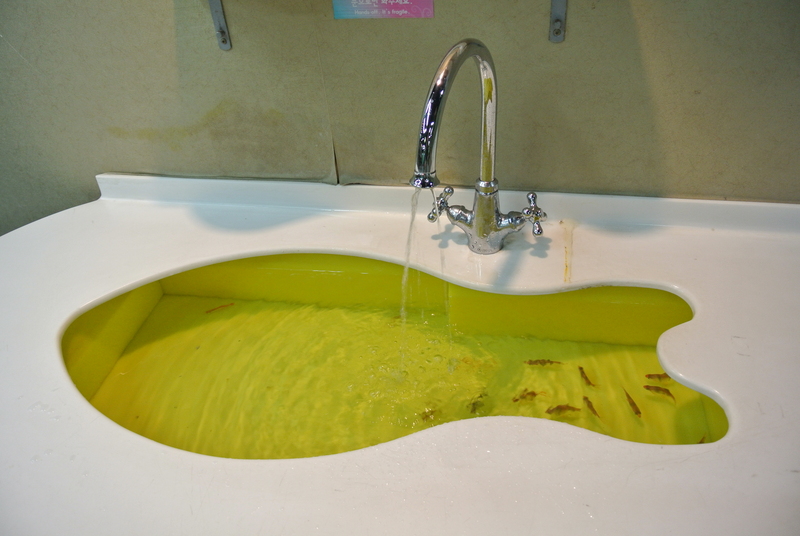 They have cafes like this where you put your feet in the water and the fishes eat away your dead skin. They don’t bite at all but I still got scared to do it. It was fun! 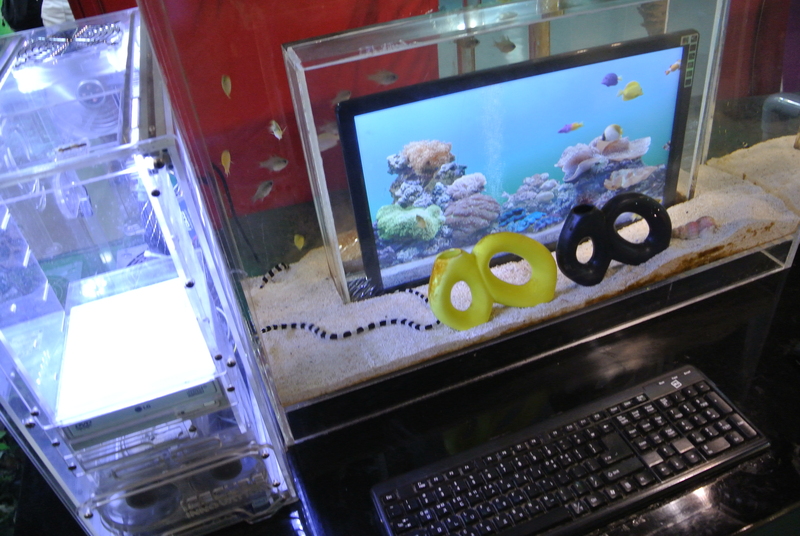 Look how big the aquarium is in the picture below! 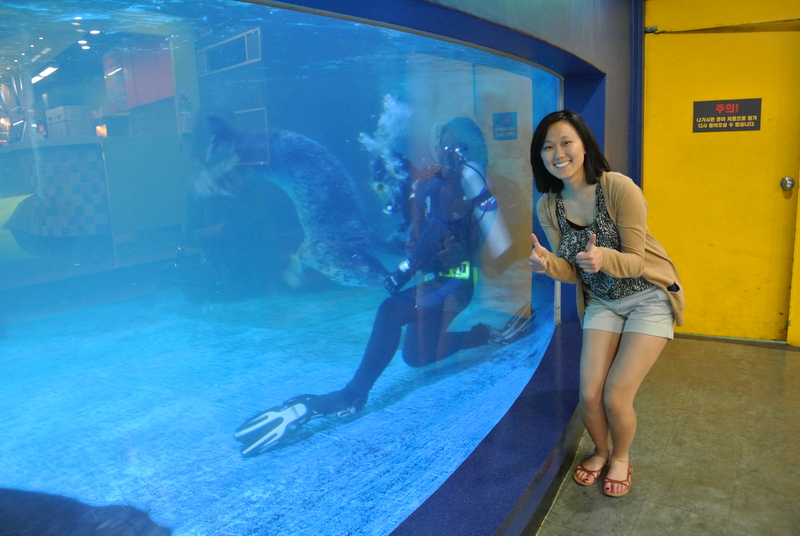 This scuba diver was playing with a big fish (can’t remember nor can I tell what kind of animal it is)! The aquarium reminded me of Long Beach Aquarium because of the flat escalator and the glass arch. 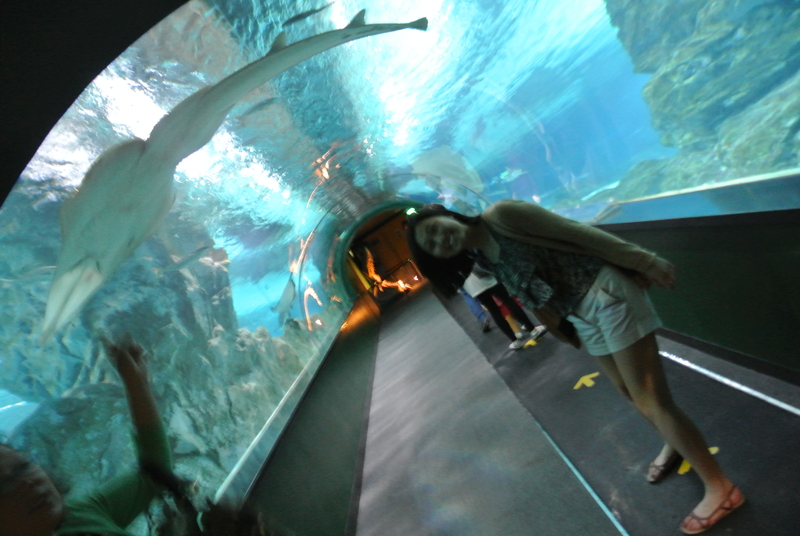 I was in awe of how big Coex Aquarium was! This is a great place to check out if you have time. After the aquarium, we were back at the mall to shop around. As we walked around, we saw this fake looking Apple store! It’s actually called A Sharp, a premium reseller of Apple products. This store scared me like no other! 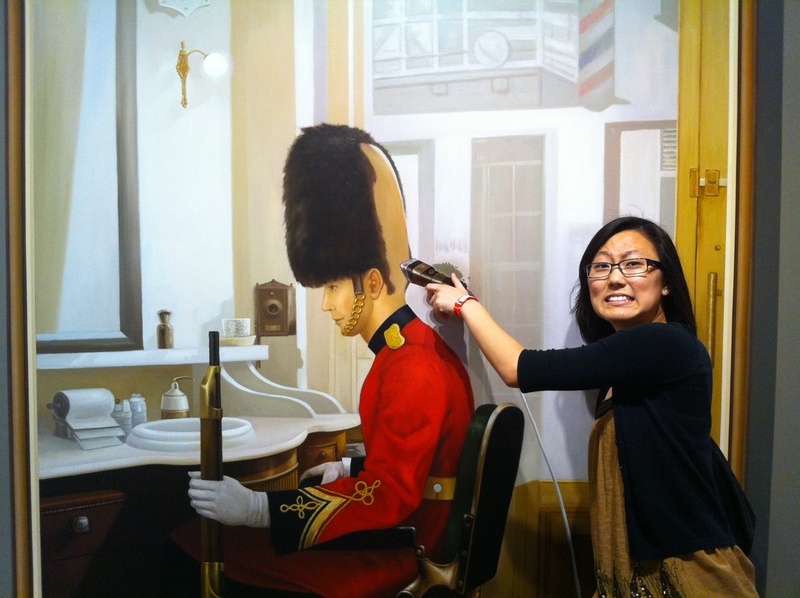 Someone once told me that in China, they have stores that completely look like an Apple store but it’s all fake! So, seeing this store made me think of the fake Apple store in China. Fortunately, this A Sharp store is legal and only sell used Apple products. 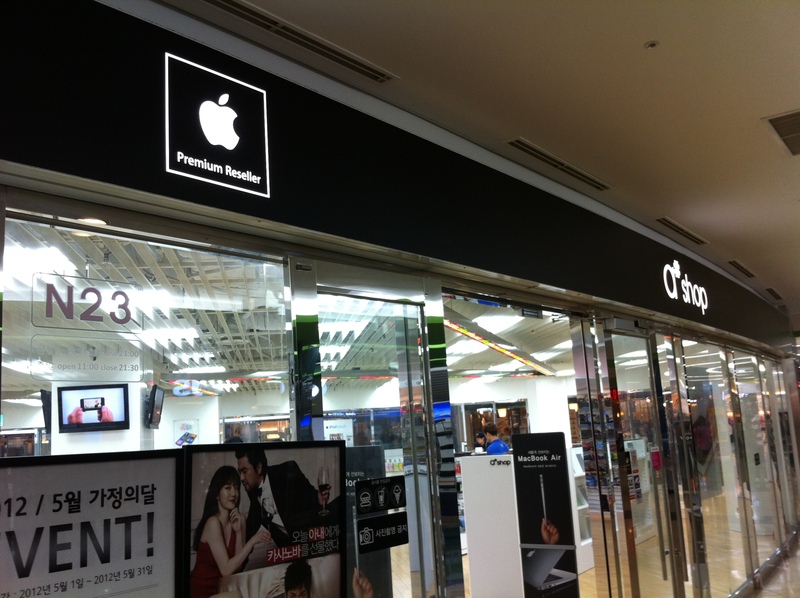 Apparently in Korea, they do not have any Apple stores. So if you want any Apple products, you would have to purchase it online. We were at Coex for quite some time and were ready to go back home. We bought some pizza to take for our relatives. We went to Supreme Pizza and bought an XXL go-go-mah Pizza aka sweet potato pizza. It was a little less than $18 but it was tiny for an XXL. Their XXL pizza is basically the size of a large at Pizza Hut in the states. It was good but expensive. 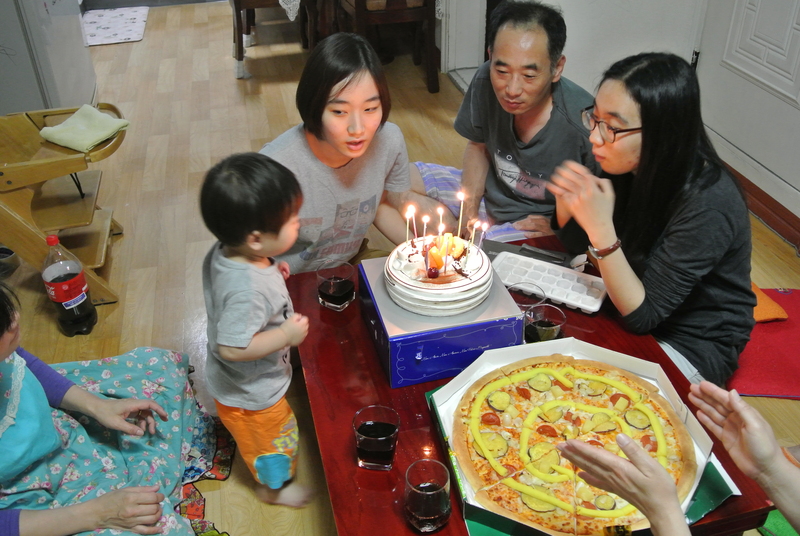 Our day ended at our grandma’s place where we just chit-chatted and had some good, expensive pizza! 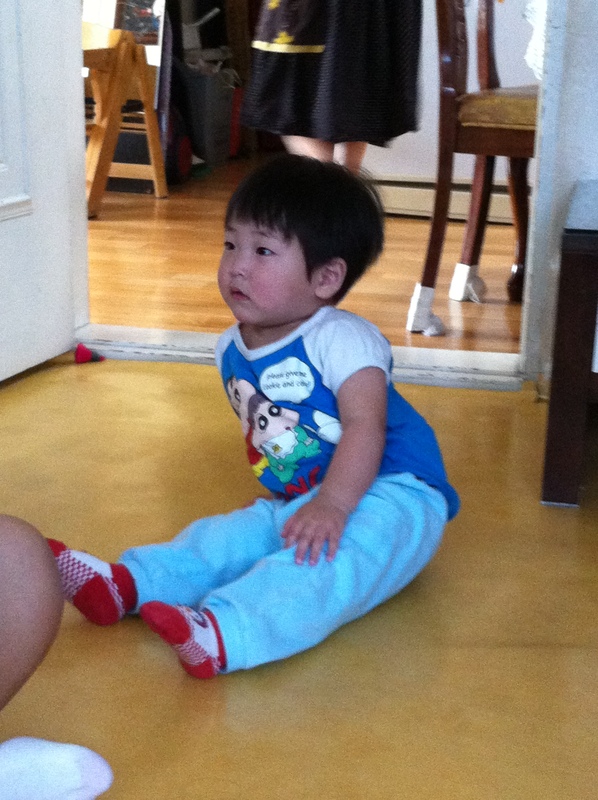 I finally arrived to Korea on Thursday night of May 17th. It was my second time ever to be at the Incheon Airport. The last time I was there, I was with my China missions group for a layover. Being at the Incheon Airport brought back so many good memories with China team. 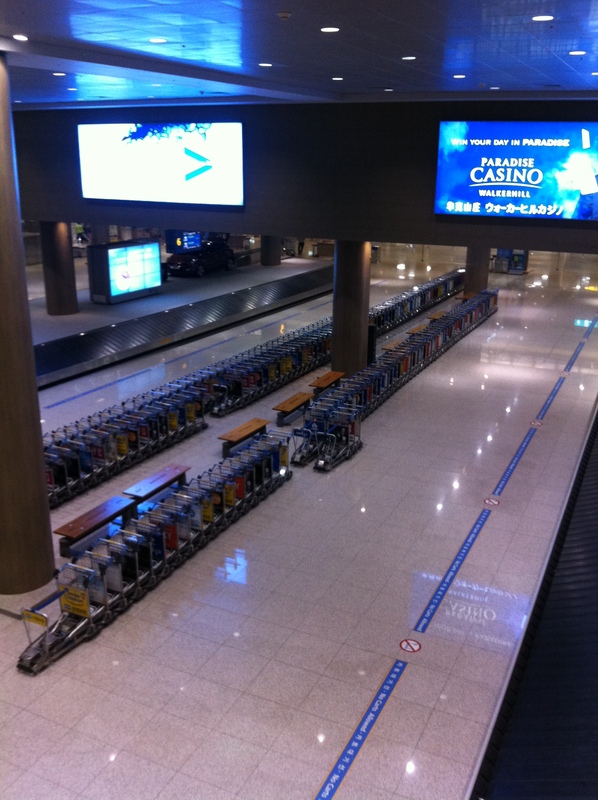 Incheon Airport is so clean and quiet. 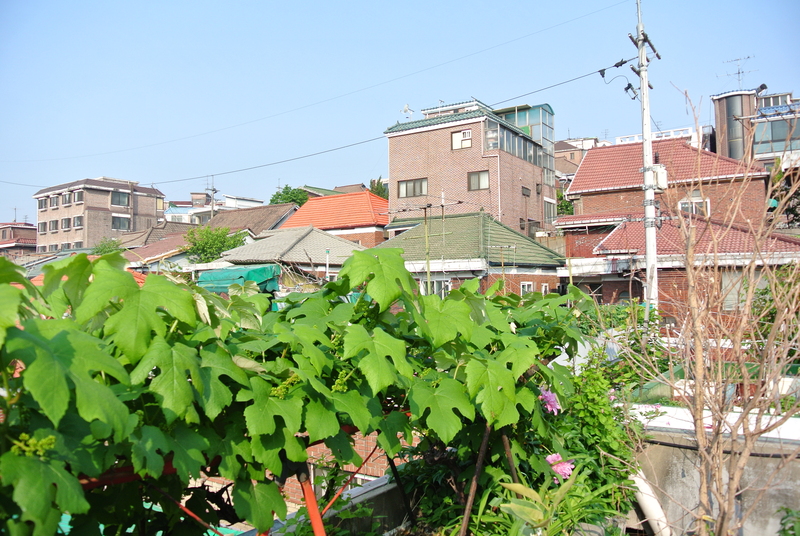 I wanted to just hang out there because it was so nice but I was ready to explore Korea! 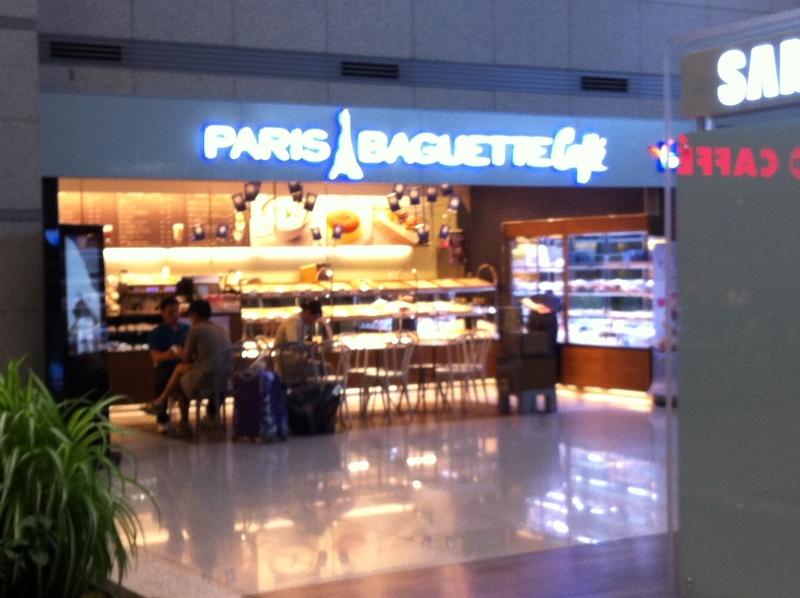 On our way out, we saw our first glimpse of Korea, Paris Baguette aka Pah-lee bah-get aka the most popular Korean bakery. 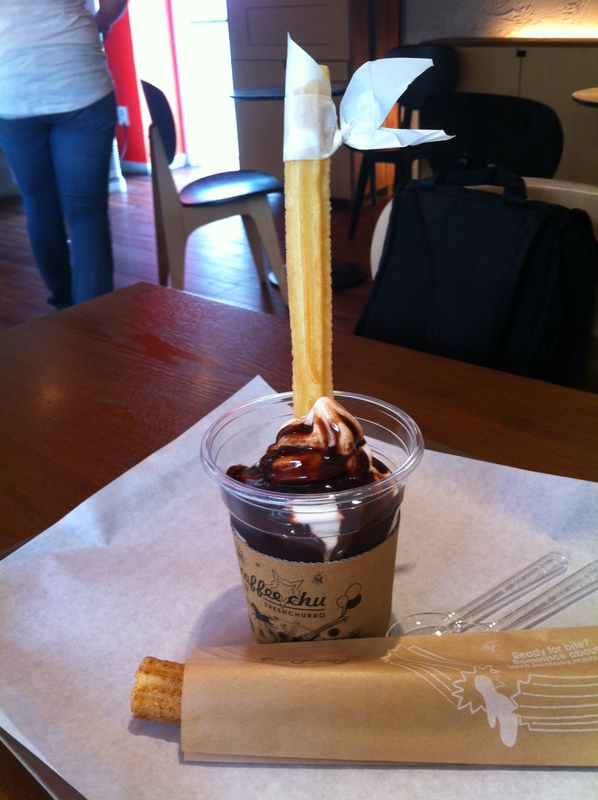 You see Paris Baguette in Korea as much as you see Starbucks in the states. That’s how popular it is there. There’s a few in SoCal. My uncle drove about an hour to pick us up from the airport. Somehow five luggage and several carry-on bags were able to fit in his sedan. 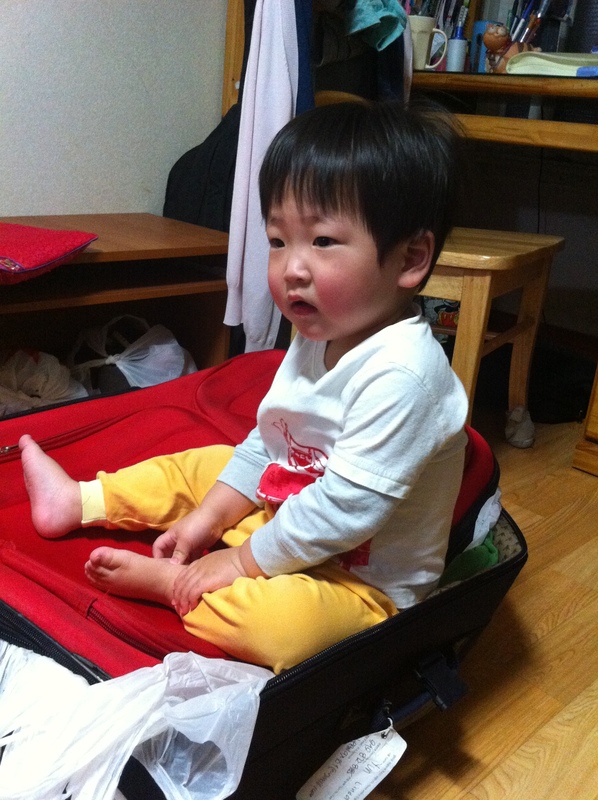 Luckily in Korea, being squeezed in the car with suitcases and no seat-belt on is pretty much legal. 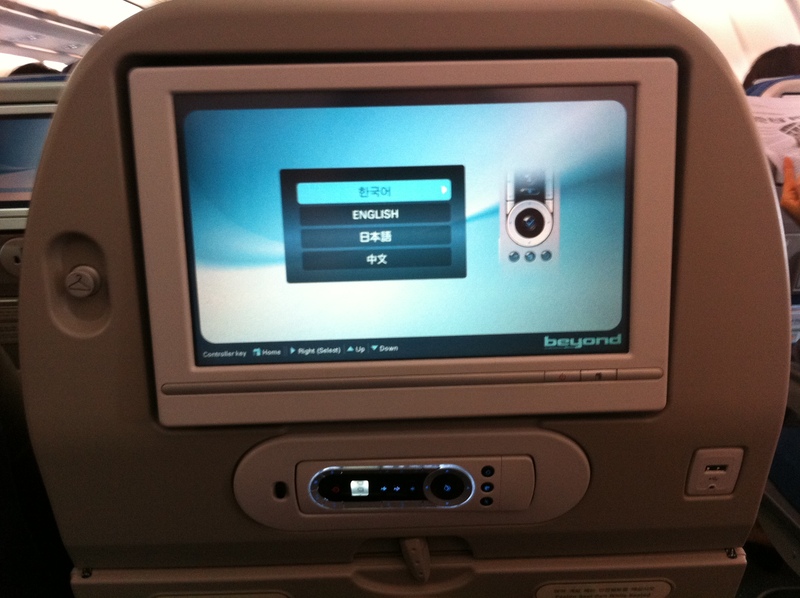 Finally getting out of the airport, smelling Korea and breathing Korean air was like freedom. The light humid weather was what I expected it to be like when I arrived. Driving on the freeway to my grandma’s house was fun. That was when the sight seeing finally began. Seeing and comparing Korea’s and the states’ billboards, freeways, just everything else was all exciting. 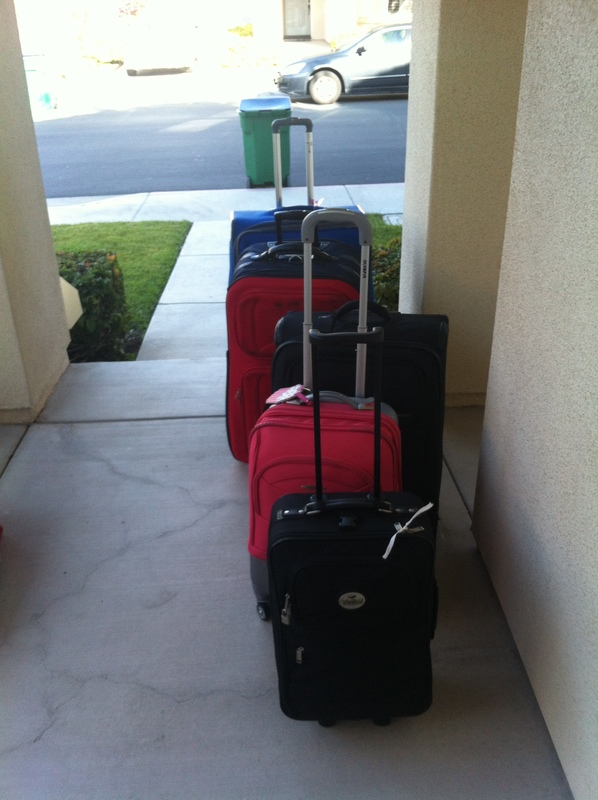 When we got to our grandma’s, we quickly unloaded our luggage to give them all our American gifts. They were all excited about their new clothes, chocolate, and all the American products you can imagine that we gave them. They loved it all! One of the best moments of our arrival to our grandma’s was seeing my new cousin, Soon-oh. He was adopted when he was born and seeing him finally in person instead of through Skype was just a blessing. He had fun lying on one of our suitcases and getting stuck there. I think he wanted to sleep on top of the suitcase. 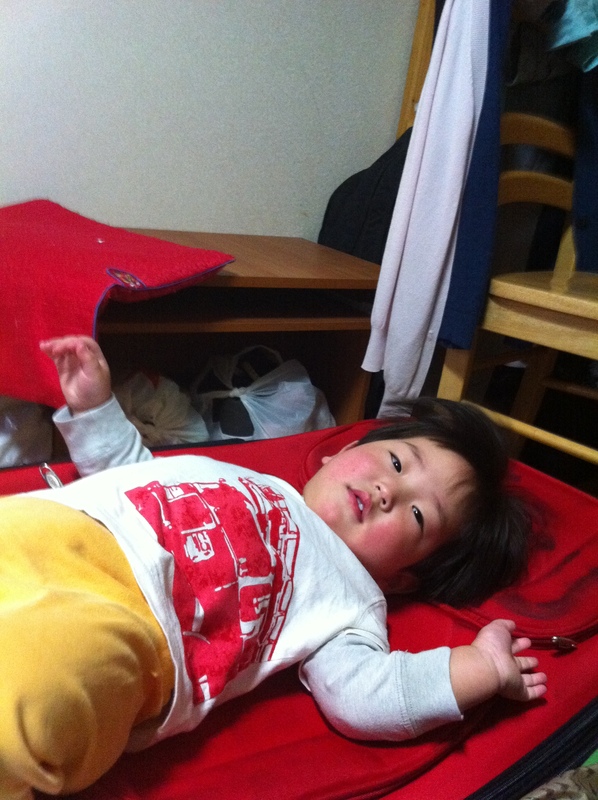 Look at his rosy and chubby cheeks! He was filled with a lot of energy for an 18 month old baby that night. He definitely had a lot of fun with that suitcase. 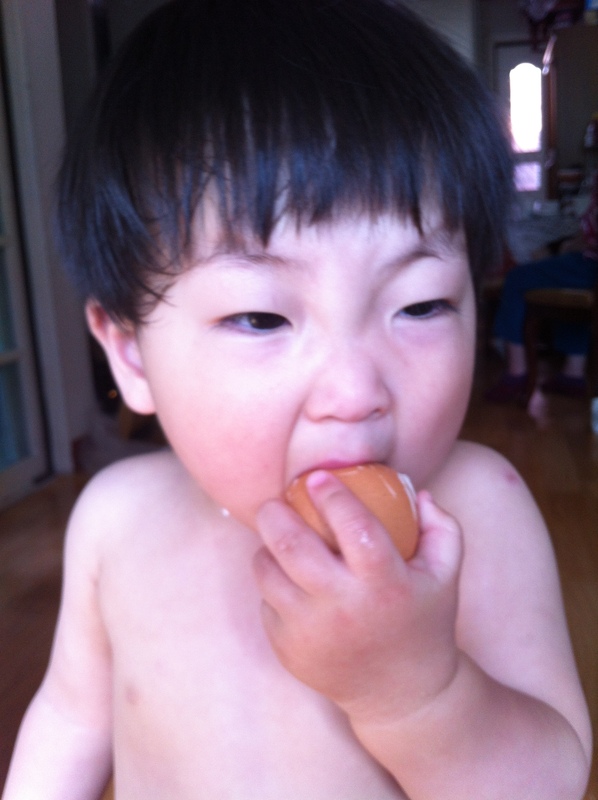 For an 18 month old baby, he’s quite intelligent. 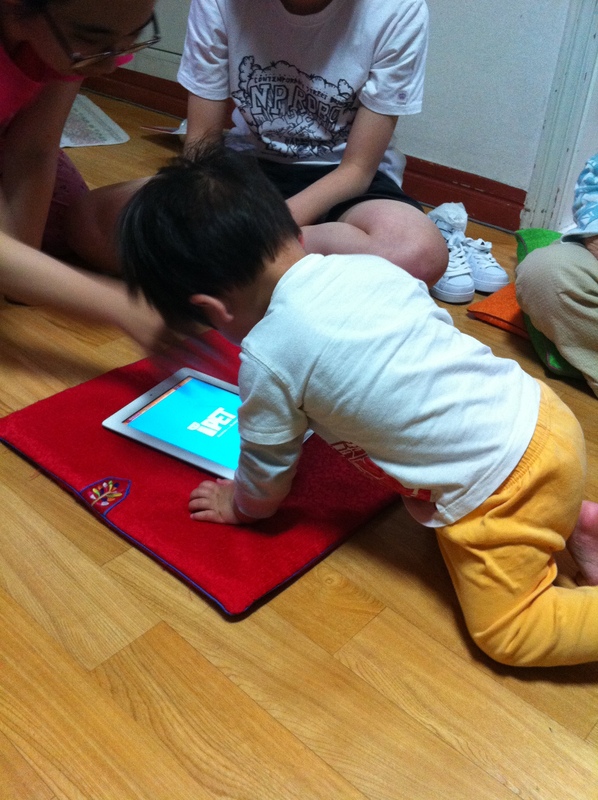 He knows how to use an iPad! He knows how to unlock it and play his bunny game! What a cutie, patootie. We continued to play with Soon-oh for the rest of the night. Afterwards, we showered Korean style as in not shower in a bathtub. In Korea, there’s a hose that is usually attached to the sink or against a wall and there’s a drainer in the middle of the bathroom. In other words, you shower in a bathroom without a bathtub. 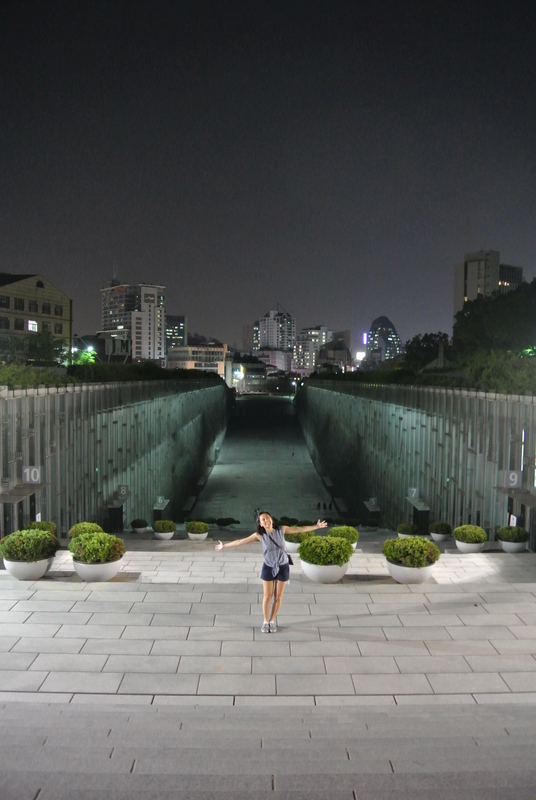 That night was officially the beginning of my experience in Korea!